Healthcare organizations have traditionally delivered care focused on the needs and convenience of the organization, not the patient. But a new paradigm, based on a more consumerist approach is sweeping healthcare as it has swept other industries. Where is your organization? A consumer that is no longer satisfied with the inefficiencies and paternalistic nature of healthcare is driving this paradigm shift. With the ability to receive other services and goods in a way that anticipates and delivers on their needs, the healthcare environment is changing rapidly to align more closely with those expectations. Patients currently feel a large gap in the way they receive health care and the experiences they have as a customer. With the advent and infusion of new technologies, we are seeing a global democratization of information, access, and significant power shifts that are creating a more demanding consumer, the patient. Just as we have seen the flattening of the world because of the infusion of technology, we are now seeing a new flattening in healthcare, turbocharged by the power of the patient. We are seeing a new playing field in which the rules of the game are being defined by patients whose power and influence are placing new pressures on healthcare organizations. The dynamic of putting patients first creates a new normal. 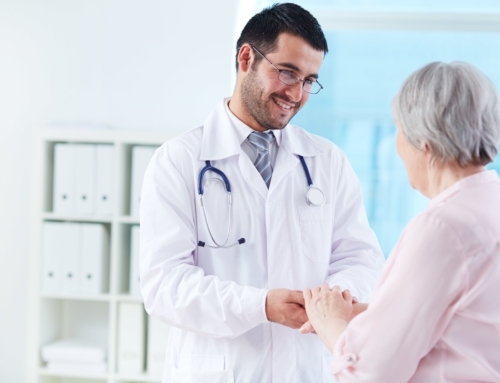 Many healthcare organizations are not keeping pace with changing patient demands and dynamics and find themselves behind in meeting patient expectations. To gain the benefits in clinical and financial outcomes that come with a more patient-centric paradigm, there is a need to focus on redefining patient relationships and transforming the professional and organizational culture towards a model that puts the patient at the core of healthcare delivery. 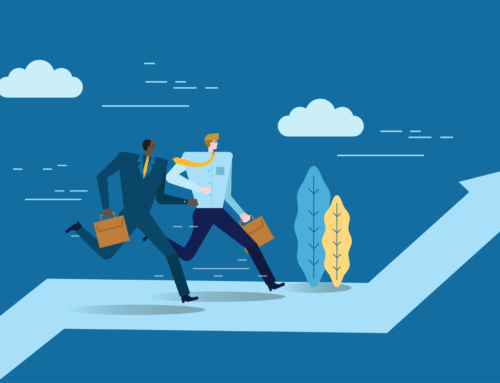 To meet these new demands, healthcare organizations must fundamentally reorganize themselves from patriarchal, non-flexible and non-responsive models of care delivery to patient-focused ones. Doing this requires an understanding of what it means to be focused on the person receiving care. The consumer of healthcare services, i.e. the patient. Patient-centric culture is an architectural configuration of values, tasks, functions, policies and practices that puts the patient at the core. It is the foundational platform on which strategy, structure, processes, technology and people function to create an organization that focuses on patients in their end-to-end journey. 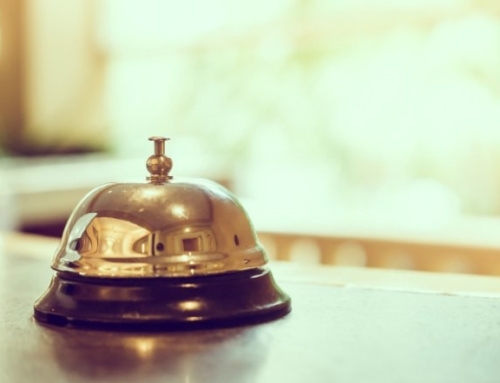 Patient centricity is also a mindset that is infused throughout the organization, from the Board Members to the housekeeper. Patient centricity is less about implementing a vision and more about building a cadence of energy that focuses on the patient’s journey through illness and wellness for their lifetime. The core of the patient-centric approach is defining everything the healthcare organization is doing in terms of the patients. This means using insights and data from and about patients to define care-delivery processes, which now must be understood in a rich, contextual way. It also means that patients must have input into the metrics and measurement tools that are used to evaluate their experiences. We must be measuring what patients think is important, not what organizations propose patients want and needs. 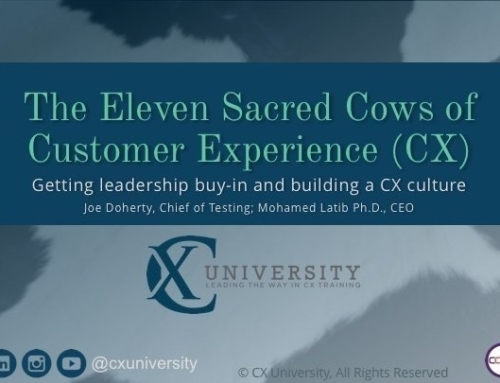 This article was written in conjunction with the launch of CX University’s Patient Experience Competency Training. 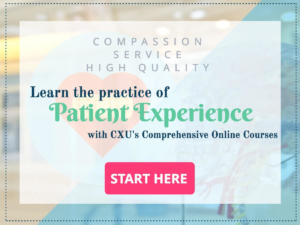 To learn more about the Online Course in Patient Centric Culture, visit the Patient Experience Program page.